Account owners and admins can add a billing contact to be sent copies of monthly receipts. This contact does not need to be an account team member. They cannot log into your SproutVideo account, and will only receive emails pertaining to billing matters. 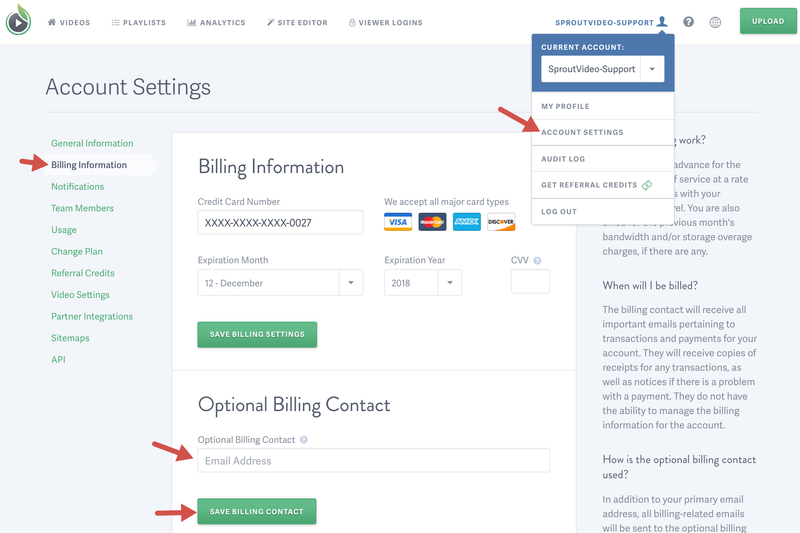 To add a contact, navigate to your ‘Account Settings,’ and click on ‘Billing Information.’ Enter the email address of your billing contact into the ‘Optional Billing Contact’ field. Be sure to click ‘Save Billing Contact’ when finished.